This neck has been taken from an old guitar and has been lightly oiled and polished. Email: sales@guitarsalvage.co.uk or telephone (uk): 07596 533687 to make an offer.Please email or call for international shipping. 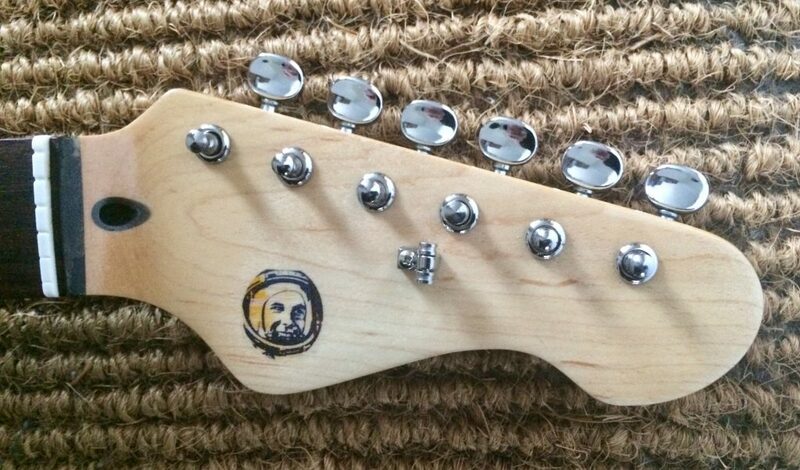 The 22 fret maple neck has a contrasting dark fingerboard. Great value. 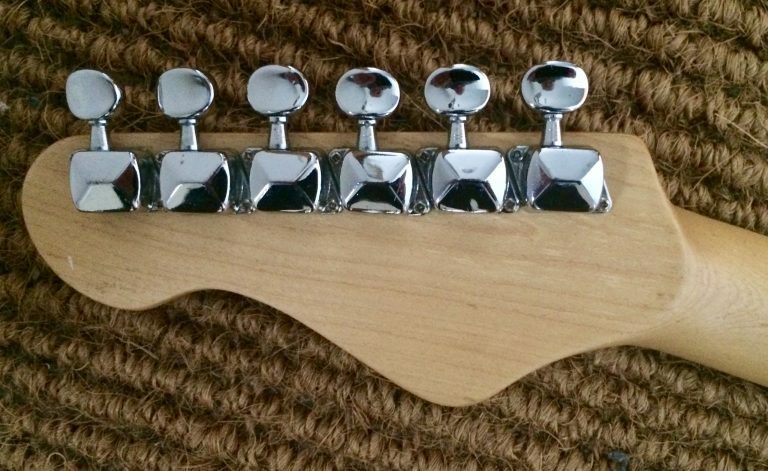 Tuning machine heads do the job more than adequately and have a long life left in them.